Author Jerome Mark Antil to release his memoir in 2017 – his own true account of his own love story…plus a collection of true short stories from his childhood in the 1940s and 1950s. 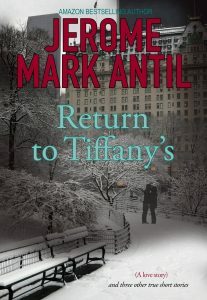 Return to Tiffany’s promises to be the tingly all over feel good love story of the century. So why the book’s dedication to Carol Channing? You might say it was “Dolly” who continues to spark this very special love story…you’ll have to read why.